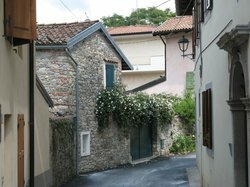 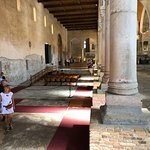 ... to the church actually show history being made: a Roman house, overlaid with a huge mosaic for the first church (also extended), on which the current church an even more clearly visible, the bell tower is built! 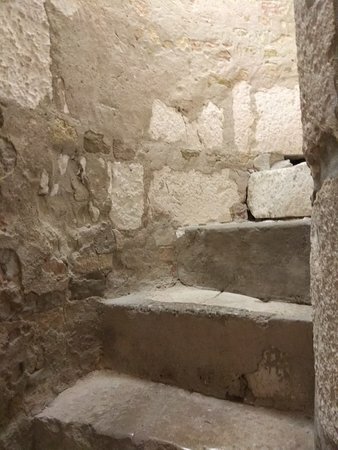 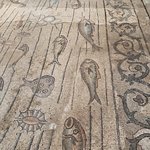 There are two crypts -- the Crypt of the Frescoes was interesting and the Crypt of the Excavations was more beautiful mosaics that had been found at different levels. 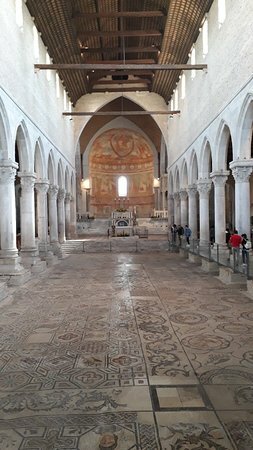 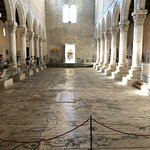 Absolutely not to be missed Basilica, spectacular mosaics, The patriarchal basilica of Santa Maria Assunta is the main religious building of Aquileia and ancient cathedral church of the suppressed patriarchate of Aquileia. 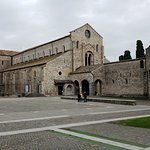 OAT guided tour. 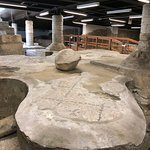 Wonderful exhibit full of history and layers of the past. 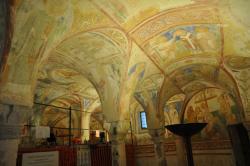 This is also an exhibit of religious overlap of Roman and Christianity. 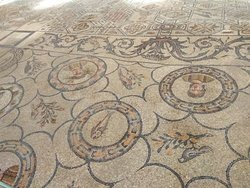 The highlight is the mosaic floor. 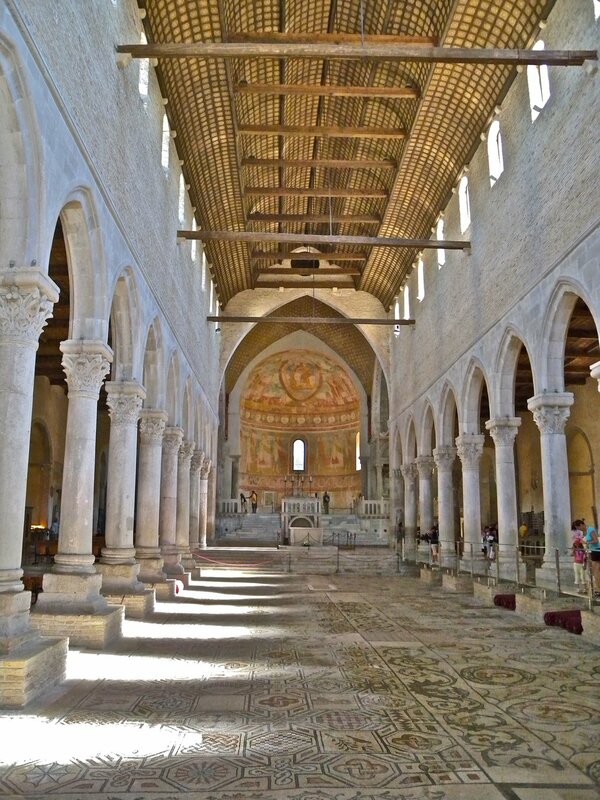 The early Christian Architecture is impressive. 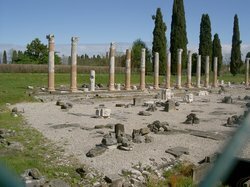 We were able to understand the Romans through this spiritual church. 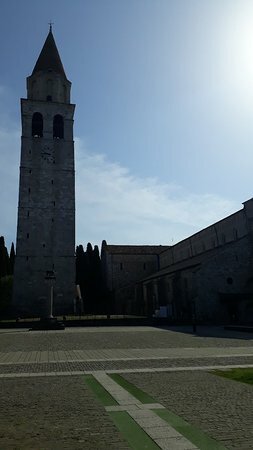 A pleasant walk around the church. 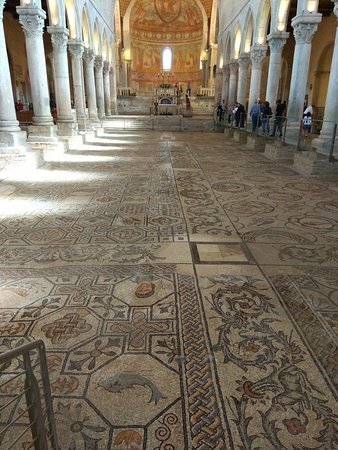 I have never seen such extensive mosaics, covering the whole floor of the Basilica and some surrounding areas. 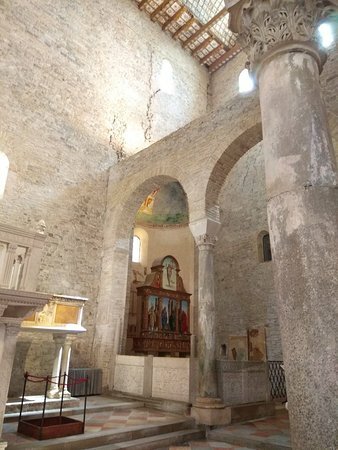 And a really special atmosphere! 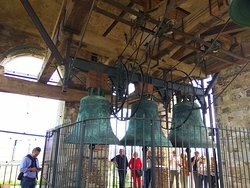 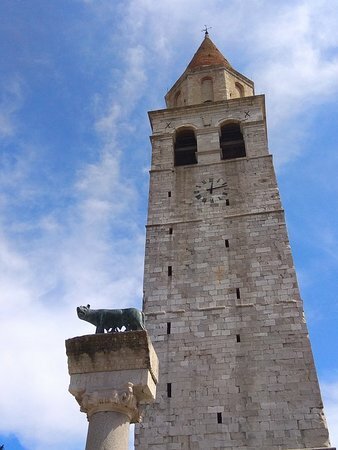 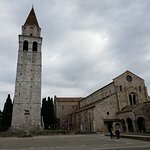 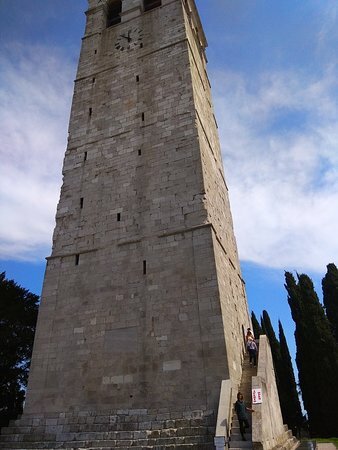 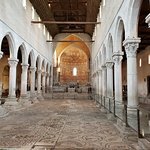 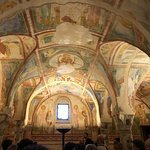 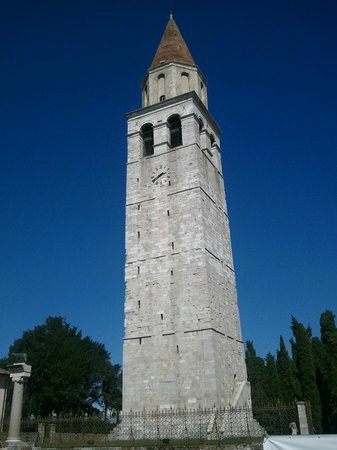 Get quick answers from Basilica di Aquileia staff and past visitors.